There used to be a bit of a stigma attached to professional matchmaking and online dating in general, but times have changed. There’s been a clear shift in attitude, maybe even a cultural change, over the last decade. And there are many reasons why so many singles are now looking for online dating help. Firstly, technology has helped the dating industry develop. The gadget boom has seen us all embrace smartphones, tablets and laptops. We take them everywhere we go and we’re on them morning, noon and night. In turn, that has seen us all get online more. We’re being more sociable and that sheer sense of accessibility to the internet has removed many barriers. Secondly, we all lead really busy lives. Recent research suggests that the number of people living alone has increased by more than one million in the last 20 years. More people are working long hours, pursuing promotions, running businesses and showing entrepreneurial attitudes. And there are only so many hours in the day. Something usually has to give and the majority of professionals don’t have the time to dedicate to their personal lives. Whether you’re looking for a soulmate or just a companion, finding someone compatible can take a lot of time. With the help of a professional matchmaking service, corners can be cut. Don’t rely on meddling friends, chance meetings or random chemistry. Or trawling through internet profiles with an online dating agency that wants you to do all the work. Last but not least, professional matchmaking has grown in popularity because, quite simply, it works. 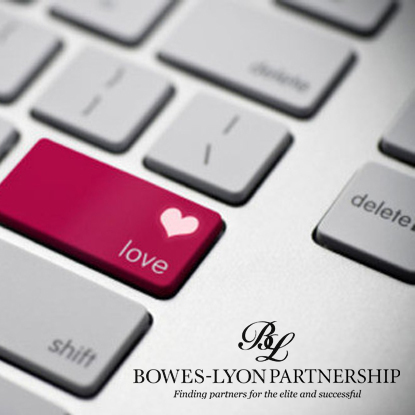 An elite dating service like the Bowes-Lyon Partnership can offer a bespoke membership. That kind of attention eliminates a lot of guesswork, and it means that you know you’ll be meeting a likeminded individual. An experienced matchmaker will use a high level of psychology and look close at your life history and your beliefs, then use their expertise to help you find who you need. In summary, the general image of online dating has changed forever. Being a member of a professional matchmaking agency is now a status symbol. It’s a bit like having a personal trainer or a personal shopper, except that nothing’s more important than your happiness. If you’re looking for someone special to share your life with, you’ve come to the right place. We’ve got the marriages and the babies to prove it. ‹ What makes a good first impression?